Hello and welcome to Glyn’s English Online. Based in the Basque Country, Northern Spain, I offer online English classes, a blog and a YouTube channel for English Language learners. 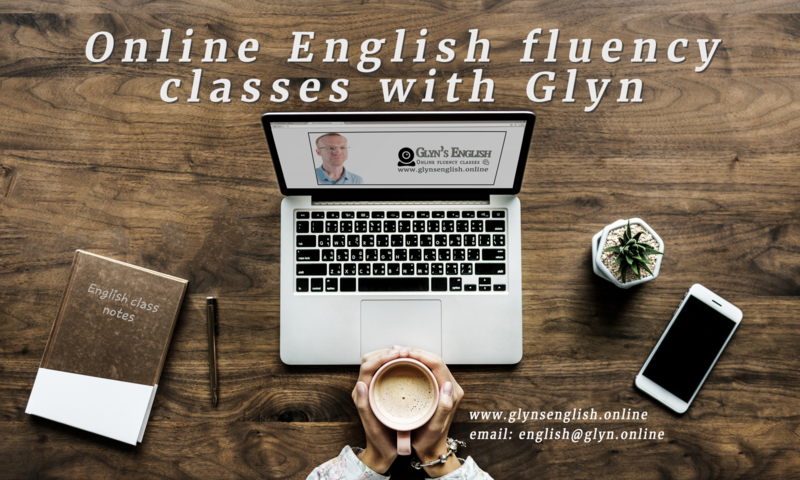 With my online classes the aim is to provide you with a flexible way to practise and improve your English that fits into your busy and changing life. To do this, our classes are one-to-one and only 30 minutes in length. Our online booking system means you can have as many classes a week as you want, when you want them. In your class you’ll be speaking about a variety of topics while using a wide range of vocabulary. But it’s not just all talking; to ensure that you are really getting the most from our time together, you’ll also receive lots of personalised and constructive feedback and support. You can book whenever you want from your own house. Me gusta mucho el formato de las clases. Son activas, personalizadas, amenas y variadas. Profesora de música y baile.